Clean your gutters regularly and remove leaves, branches and other debris that may accumulate overtime. Run water through your gutters until small debris and dirt come out of the downspouts. You may install a guttering system with leaf guards to prevent leaves and debris from clogging your gutters again. Adjust the angle of the gutter. A reliable guttering system should be able to channel water from your gutters down to the downspouts with ease. For any inquiries, call our service team on 1800 897 444. Do you notice gutter overflow when heavy rain occurs? If so, you are experiencing one of the most common problems with standard guttering—insufficient fall, which prevents rainwater from completely draining away. Coupled with blockage-causing leaves and dirt build-up, water cannot flow effectively through to the downpipes and water tank. This causes the gutters to overflow during strong downpours. Fortunately, there is a way to prevent all of that. We’ll take care of everything that needs to be done and get the job done right the first time. We prevent gutter overflow in Mulgrave, Padstow, Parramatta, Tuggerah, Unanderra, Wollongong and all over Sydney and Central Coast. So leave it to us at EASY FALL™ Guttering Pty Ltd to fix your gutter situation. 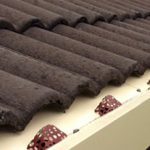 Given our experience, we can readily identify the reasons for the occurrence of overflowing gutters, helping homeowners in Sydney save money. Rather than having overflowing gutters, we’ll have water flowing straight into your downpipes and into your water tank. To prevent any gutter overflow, you need to install a guttering system that makes use of reliable leaf gutter guards and gutter brackets. These gutter products stop leaves and debris from clogging your gutters and causing overflow. 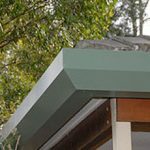 You can trust Easy Fall Guttering System to prevent overflowing gutters on your eaves. Gone are the days when you have to climb up a ladder to get your gutters cleaned up once in a while, or after heavy rains. Aside from being a tedious task, it is also a very risky exercise. 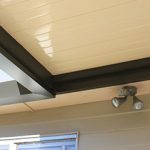 That’s why we recommend that you allow Easy Fall Guttering to assist you with any Guttering Sydney needs. Did you know that clogged gutters can damage both the interior and exterior of your home, costing you thousands of dollars? While controlling the amount of rain that falls on your roof is impossible, you can invest in rain gutters that are built to withstand significant rainfall. Acting as a gutter overflow diverter, our EASY FALL™ innovation offers numerous ways of preventing your guttering systems from becoming clogged. When fixing gutters and considering short-term solutions, look into long-term quality gutter replacements which will add value to your home instead. The EASY FALL™ Guttering System solves the biggest problem of leaking gutters—incorrect fall. If you are thinking about replacing your gutters, the true water-saving option is the EASY FALL™ Guttering System. Feel free to contact us today to request more information or schedule an appointment. Our representatives are always on standby to address your needs. To find the right gutters for your roof, call our team on 1800 897 444.